And here's one more - I combined this week's Runway Inspired Challenge and CAS-ual Fridays Challenge. Both cards are great but I LOVE the first card!!! Your little scene is darling and I adore your embossed sky! So glad you played along with us in this week's CAS(E) this Sketch! I love the swirly circles around the sweet snowglobe - a perfect backdrop! So glad to see you at CAS(E) this Sketch! beautiful cards!!!! your first card totally caught my eye from the CASE this sketch blog! it's AMAZING!!! i love it! wow! 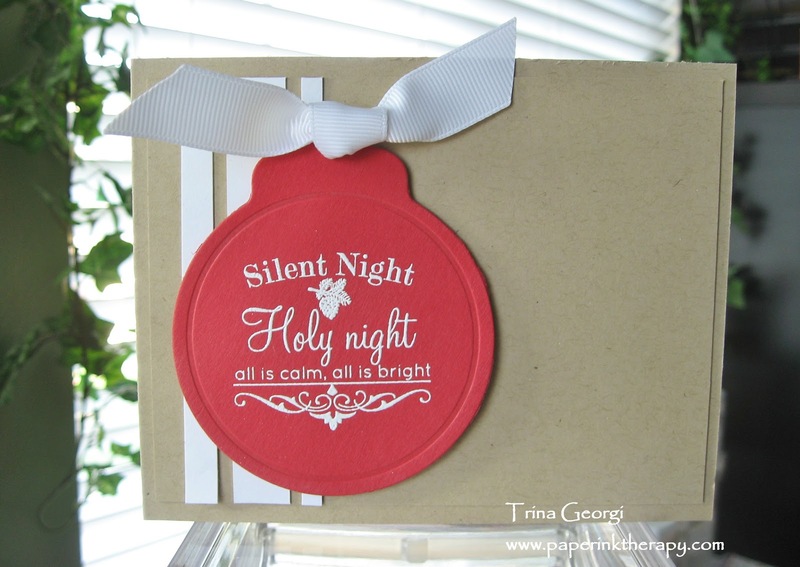 Love your Christmas cards! Congrats on getting two more done! Your ornament card is beautiful! That sentiment is just gorgeous too. Thanks so much for joining us on the Runway! 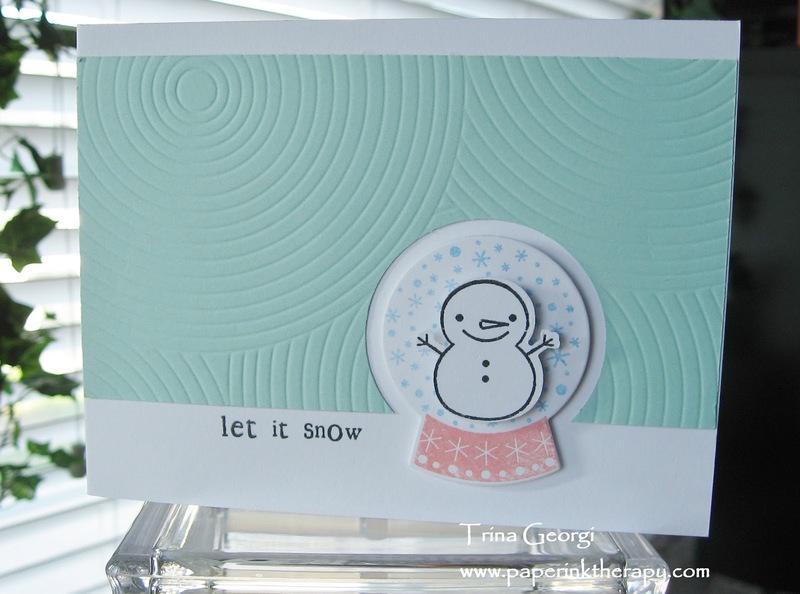 Love both cards, especially the "Let it Snow". So cute! These are adorable! I love how you used the impression on the first card! Thanks for playing along with CAS-ual Fridays and CAS(E) this Sketch!